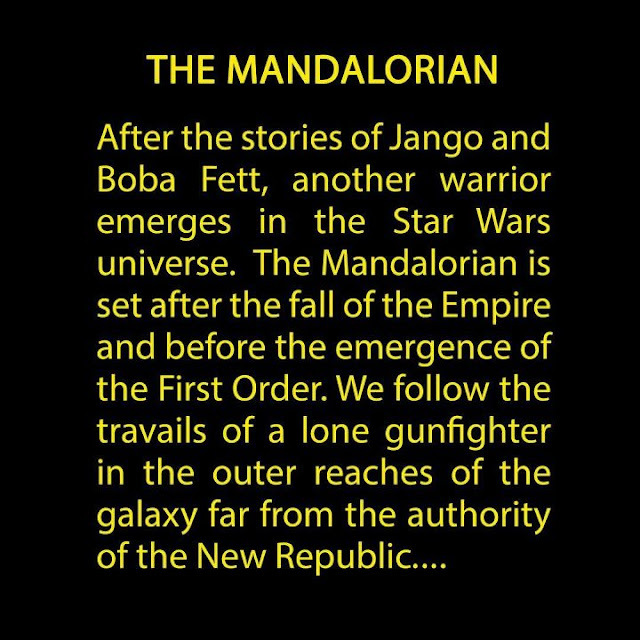 Jon Favreau, producer of the new Star Wars television show as has revealed the series is to be called The Mandalorian. Sounds like Clint Eastward in space? If you were unaware, both Jango and Boba Fett are from the planet Mandalore and were both thus Mandalorian. Well, that's debatable about Boba as he was born in a test tube on Kamino... One question, if this show is set after the 'stories' of Jango and Boba - does this mean Boba is dead in this world? Did he survive his fall into the Sarlacc Pitt? Is he retired? If so, was his armor up for grabs? Is this new warrior a Fett? The series is well into production, which shooting already occurring. It's rumored that Thor director and Taika Waititi and David Filoni will have a shot at directing an episode or two.